There is never a shortage of things to do in Vancouver, summer or winter. 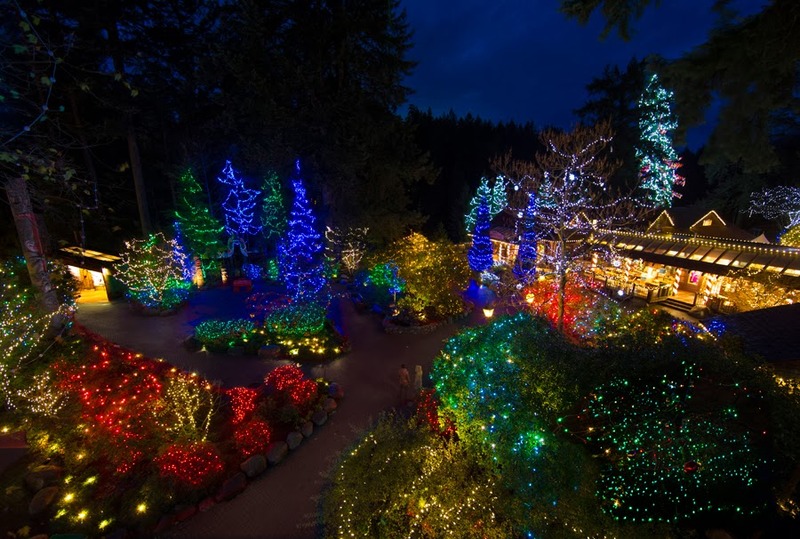 Here's our list of the Top 5 Winter Activities to try in Vancouver this holiday season. 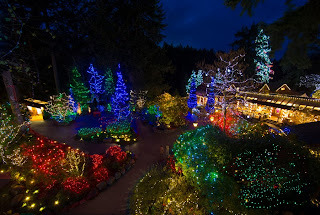 This stunning Christmas light display transforms the Capilano Suspension Bridge property into a glowing winter wonderland. With scavenger hunts for children, gingerbread cookie decorating, glass blowing demonstrations and Christmas carol sing-a-longs, it's fun for the whole family. Canyon Lights runs November 30, 2013 - January 4, 2014. Free shuttle service from Canada Place. This annual "can't miss" Vancouver Christmas event brings an authentic German Christmas Market feel to the city. Shop for holiday gifts in their craft market, taste delicious food and drink (mulled wine! ), and enjoy the colorful decore and family entertainment. The Vancouver Christmas Market runs November 22 - December 24, 2013. Christmas in the city wouldn't be complete without a few laps around the Robson Square skating rink. Free to use, and with skate rentals on site, it's a perfect winter activity for families or a great date idea. Grab a hot chocolate or some roasted chestnuts from the local street vendor after and warm up while strolling the illuminated Robson Street. Robson Square Ice Rink runs November 15, 2013 - Feb 28, 2014. Honestly, sometimes the holidays are more full of 'drear' than 'cheer'… more often than not we get a wet Christmas instead of a white one. To guarantee a White Christmas moment, ride the tram up Grouse Mountain to be transported into a snowy Christmas town. Some of our team were able to experience the magic last year and highly recommend it to anyone looking to see what it might feel like to live in the North Pole. Experience the thrill of outdoor skating, sleigh rides, and reindeer visits and cap it all off by watching the sun set over the city. The Peak Of Christmas runs November 23 - December 24, 2013. With three local mountains all easily accessable via transit from Downtown Vancouver, there's no excuse not to get out and enjoy the great outdoors this season! Mt. Seymour, Cypress Mountain and Grouse Mountain all have excellent snowshoe trails and ski/snowboarding runs for all skill levels and equipment rentals available. 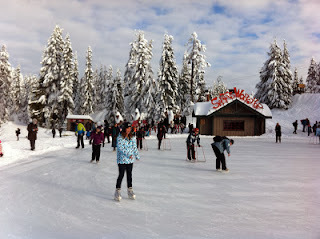 Check out our Beginner's Guide To Snowshoeing In Vancouver post for tips for first timers.